1 Mouse-click on any photograph for enlargement. indicated by "GS" (Greg Slayden) or "RW" (Rob Woodall). route map to read the corresponding story. change their addresses without notification. Notify me of any altered addresses. he journey's chief goal is Ojos del Salado as Chile's highest peak and ranked number 43 on the Earth Fifty Finest list of most prominent mountains. It is second-only to Argentina's Aconcagua as the Western Hemisphere's highest summit. 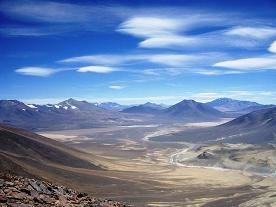 At 22,615 feet, some claim Ojos del Salado ("Eyes of the salt flat") is the world's highest volcano. More generally our journey is motivated by topographic prominence - a mountain metric rewarding vertical relief as distinct from sheer elevation. I solicit interest and plan the trip over several months. Several options exist to acclimatize for this very high mountain. 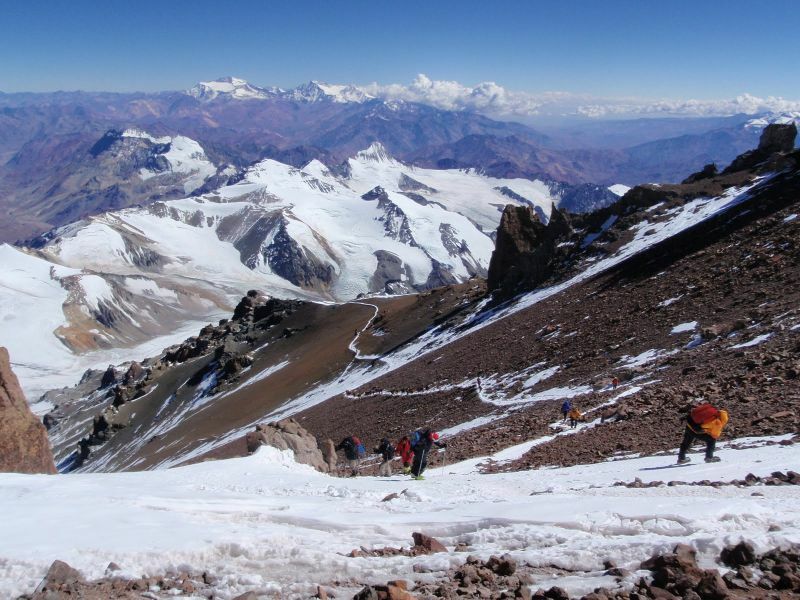 All of them are explored, and sequentially discarded, in favor of flying into the 12,000 foot Bolivian capital, La Paz, and climbing peaks of increasing elevation over nearly two weeks. Each peak must have at least 2,000 feet (610 meters) of prominence, and hopefully much more, in order to be a serious contender for our energies. Bolivian women in traditional dress. 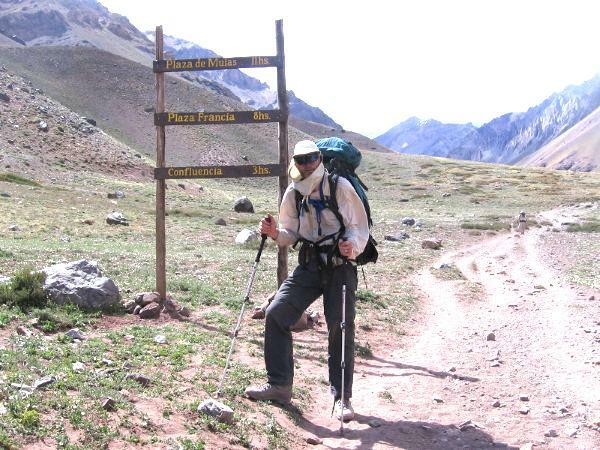 The advantages of this plan are obvious relative to standard "tour packages" which have one fly into Santiago, Chile and acclimatize by day-hiking near "Ojos" - yet without bagging any prominent summits as technically defined. 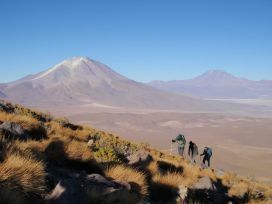 Climb mountains of significant topographic prominence, including so-called "ultra" summits of much interest to the team members. 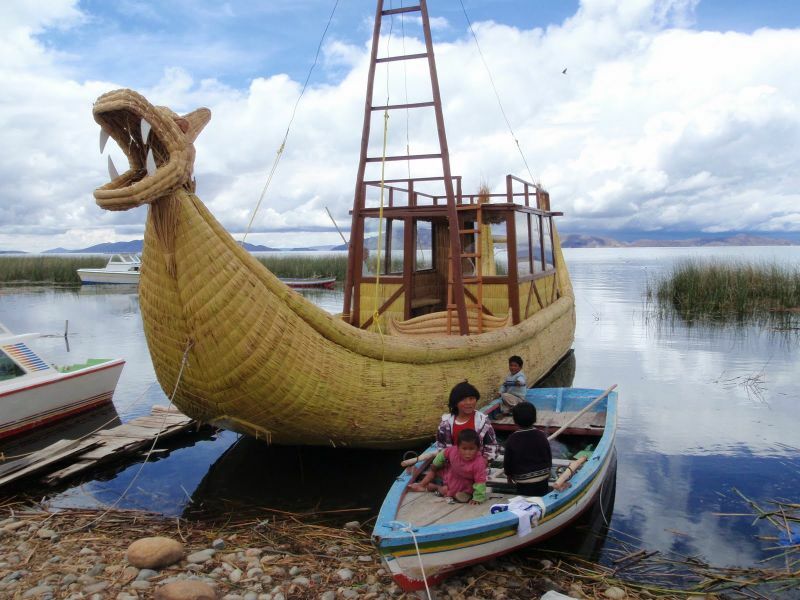 Visit a distinct, non-European culture with roots in Aymara and Inca tradition. 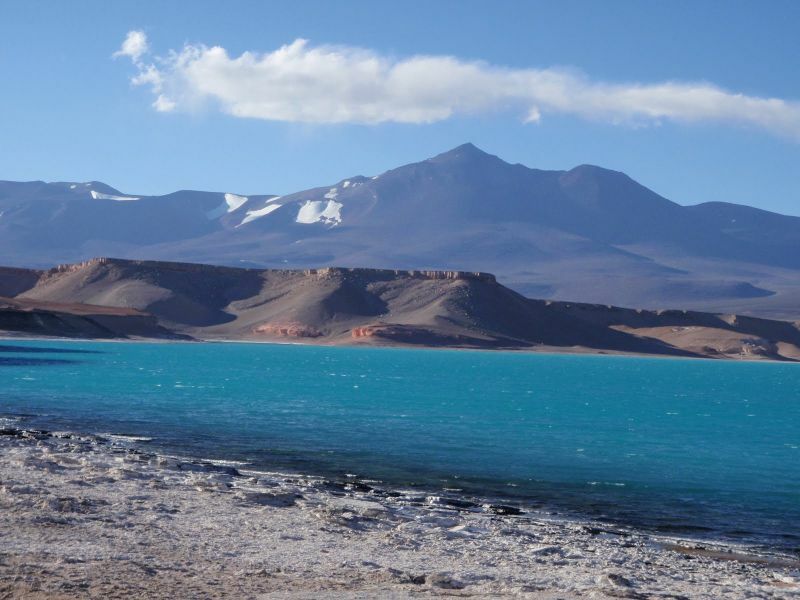 Enjoy unique landscape in southwest Bolivia - and Chile's Atacama Desert. The disadvantage is a lot of driving. However since nobody complains about my "Bolivia option" it's definitely our plan - one that has multiple variations based on road conditions and peak access. 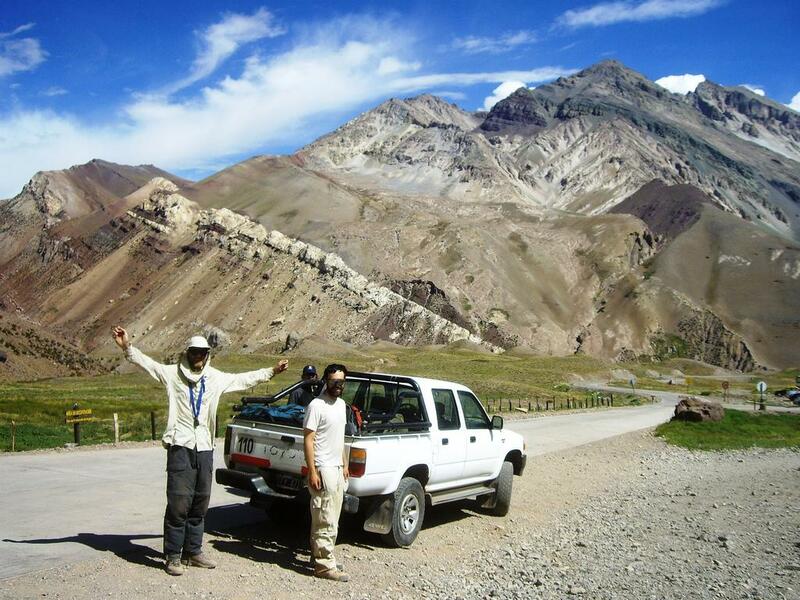 We hire La Paz-based trekking agency Topas for a pair of Toyota Landcruiser vehicles with their drivers. Ojos is planned for January within the southern summer. That's perfect timing to use it as a means of rapidly ascending Aconcagua afterwards without taking two weeks to do such. Therefore Aconcagua becomes the ultimate target for the three of us who have not previously climbed it - Greg Slayden, Rob Woodall and Adam Walker. However closer to the Equator this is a wet season. The invierno Boliviano ("Bolivian winter") can interfere with travel and provide miserably unstable snow conditions in the major ranges. We therefore take our chances by using Bolivia as training ground prior to heading west, and then south, in search of drier air. 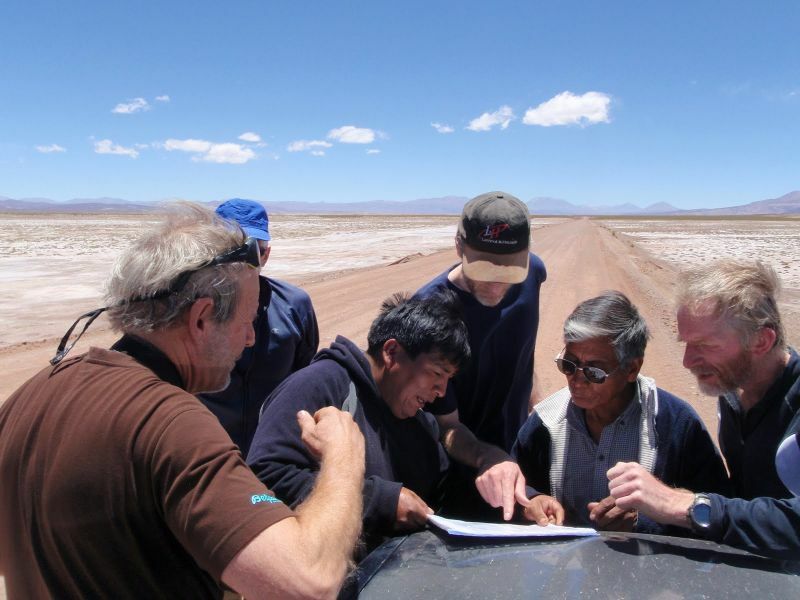 Petter Bjørstad and Duane Gilliland fly home right after Ojos del Salado via Santiago, Chile which is considerably closer than La Paz at that point. 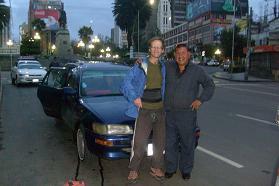 I return to La Paz with the two hired drivers and their vehicles to minimize the airline fare. 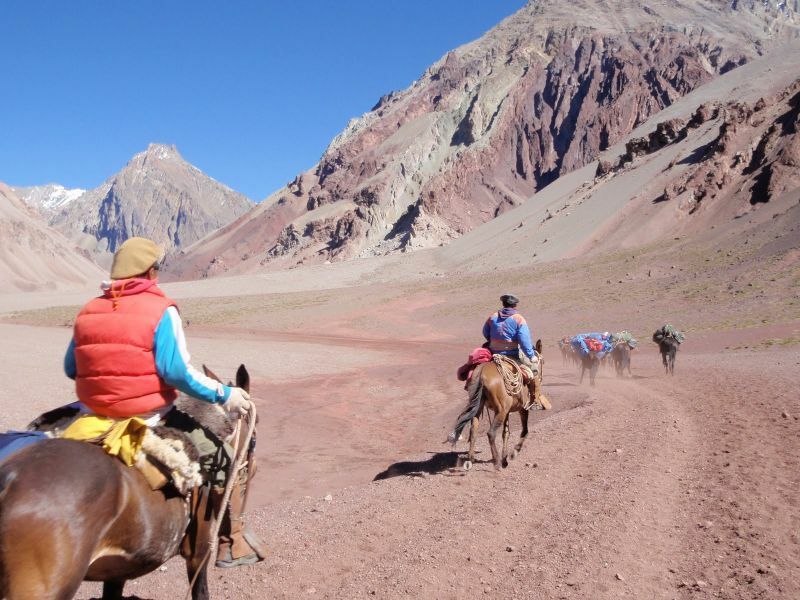 The overall itinerary is bold, featuring several Bolivian peaks for which there is no published route information - at least not on the Internet. We rely heavily on Google Earth satellite imagery and GPS technology. Several printed topographic charts from Bolivia's IGM (Instituto Geografico Militar) are of moderate help in planning our ascents. The overall driving route excluding Aconcagua. and then south for the main goal - Chile's Ojos del Salado. Mouse-click on any peak icon to read the corresponding story. information at Greg's peakbagger.com website. Elevations (E) and prominences (P) are in feet. arrive before the others after an extremely unwelcome set of flights and layovers from Los Angeles. Do not land in Mexico while enroute to the actual destination: they have you go through Customs anyway; examine all your luggage (which then must be personally re-checked to the airline) and then must submit to a security screening. All this EVEN THOUGH you are only in-transit. Furthermore, the Lima, Peru Airport has no place to rest if your flight is 7 hours later at 1:30 in the morning. They also have no water fountains - forcing you to buy bottled water at inflated prices. Instead I visit the men's room where it is free from the faucet. My baggage totals 101 pounds - making it nearly impossible to do anything but sit when they have not yet been "checked" by the airline. 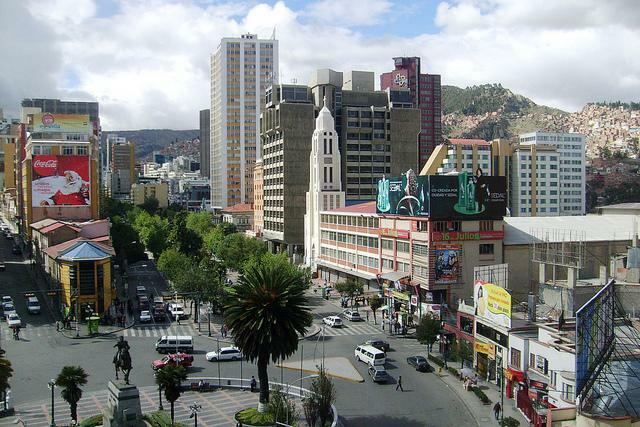 I wear double plastic mountaineering boots from the time I park in Van Nuys, in the San Fernando Valley, to arrival in my downtown La Paz hotel room - a total of 28 hours. This hedges against airlines losing them in checked baggage since replacement in Bolivia would be very difficult. Suffice to note that my feet are begging for relief by the time I remove the boots. I land at what must be the highest international airport on Earth, aptly named El Alto ("The High One") at over 13,000 feet. The aircraft cabin must be depressurized on landing. Curious, after landing I entered the cockpit and find the copilot, a lady, wearing an oxygen mask - surely unique for being on the ground! Yet regulations require flight crew to use supplemental oxygen above 10,000 feet. Anyhow, she says the cabin pressure is automatically adjusted without human intervention. She calls that normal - yet what we agree upon is that here the direction of that pressure change is reversed compared with nearly all other landings. 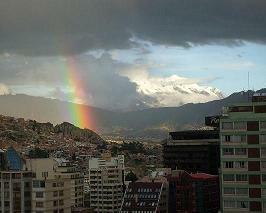 descend to city-center from El Alto. 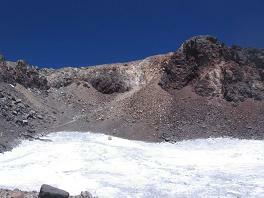 Nevado Illimani at right (21,201 feet). 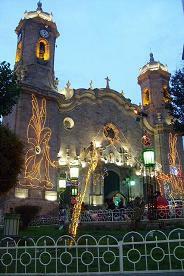 I enjoy the first full day in La Paz with Rob after he arrives on Christmas day. We share some meals, purchase water, and generally begin acclimatizing merely by being here. Our room is number 703. BBC America, the only English language TV (for Rob) is channel 73. The BMI (body mass index) conversion factor from English to metric units is 703. I cannot recall how this entered our thoughts. The next morning my alarm sounds at 5 a.m. - and I feel like somebody has hit me over the head with a pole (although how would I truly know how this feels?). I am unbelievably tired since this is 1 a.m. in California which is when I normally go to bed; and have already lost an entire night's sleep. Rob has no such problem since he traveled west from the United Kingdom - so for him our local 5 a.m. corresponds to 9 a.m. rather than night's middle. e drive south four hours and climb our first acclimatization peak at about 14,400 feet - dubbed "Cerro Anacasi" for a nearby village. It consumes just over four hours and is perfect given our goals. 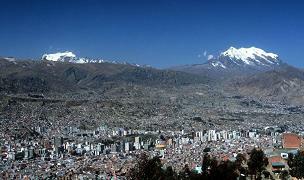 The peak is about 20 miles west-northwest of Oruro in the eponymous Bolivia department. On the ascent we see a local man trying to catch us. I am uncertain, but he likely wants money for the "privilege" of passing over his land. There are multiple low stone walls around 13,000 feet - presumably, demarcating plots of ground owned by somebody. The south summit is reached - then the north, slightly higher one after perhaps a 50 or 60 foot dip in-between them. We return the ascent route. The north summit, at WGS84 datum (17.82544° S, 67.38651° W) has a GPS-measured 4,396 meters elevation (14,423 feet) - of similar value to many a Colorado fourteener. Assuming an (unverified) 3,730 meter key saddle it has a prominence of some 666 meters (2,185 feet). Details of this ascent are available in Rob Woodall's trip report. After a six year price freeze, the Bolivian government has raised gasoline prices by 72%. Vendors are refusing to sell at the new price. This is ruinous for our plans, of course, and we consider our options. I go to bed with thoughts of a completely destroyed vacation. 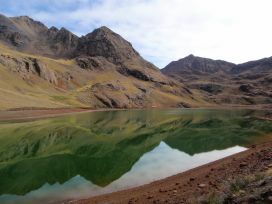 I am also concerned that folks are going to blame ME for having promoted a Bolivian itinerary. We return north to La Paz to discuss the situation with all four other climbers who should by now have arrived. 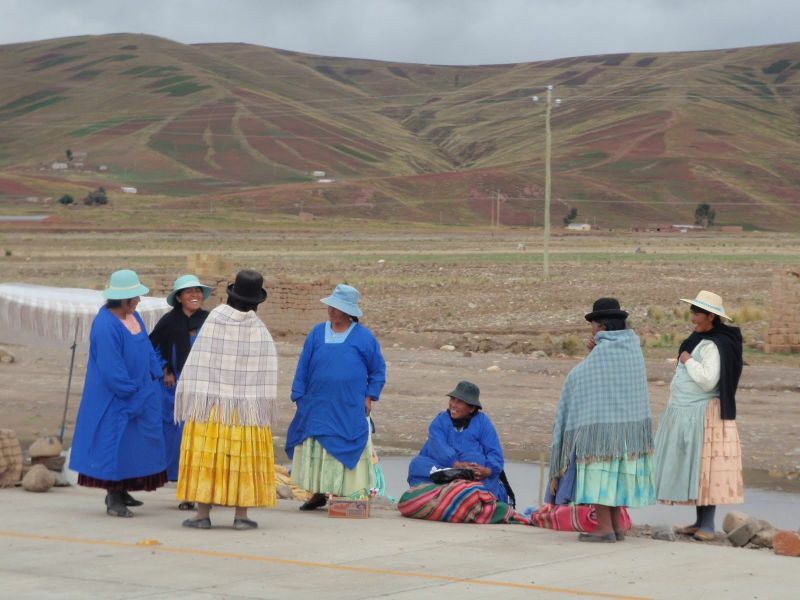 We meet in Topas' downtown office; and, despite obvious misgivings by Carlos, decide to continue despite threats of road blockade - the standard means used by Bolivia's peasantry to express their grievances. I have a hoarse voice. Precisely, I can only whisper - and have no idea how this came about. It seems to be three days after arrival, which is a typical incubation period for some contagious illness. from about 15,000 to over 16,000 feet. 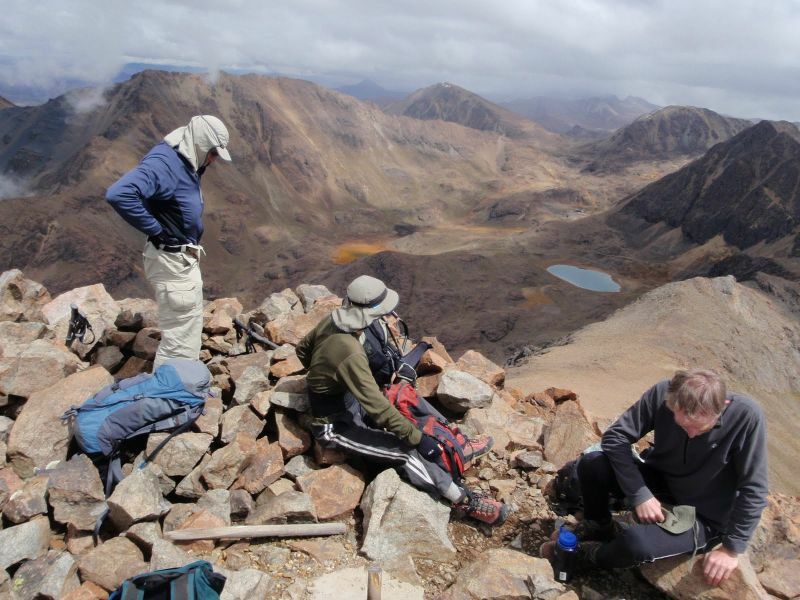 he next morning Petter joins Rob and myself for a "15er" peak just south of Poopo which is an hour's drive south of Oruro. We climb from the east rather than the west (which would have been from the main highway). It is excellent acclimatization - although there are large discrepancies between the topographic chart and our GPS readings. 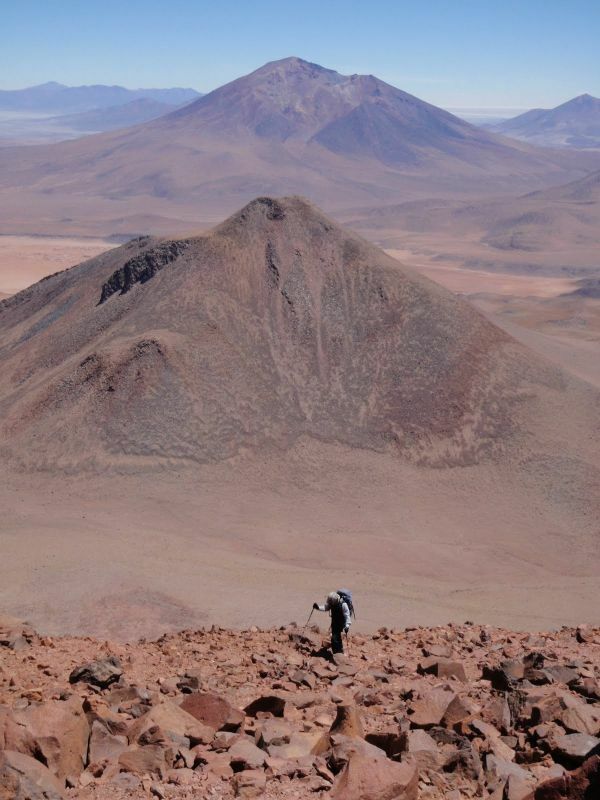 Thus we first reach what the map claims is the lesser of two summits, only to sight one-quarter mile north and find Cerro Wila Chanca to be nearly (but not quite) as high. Regardless, our GPS-based summit readings concur that we are some 30 or 40 meters higher than the map would have us! We claim that the south summit, at WGS84 datum (18.42023° S, 66.93949° W) is the highest point on our long, north-south ridge with 4,701 meters elevation (15,423 feet). Assuming an (unverified) 3,963 meter key saddle it has a prominence of some 738 meters (2,421 feet). Details of this ascent are available in Rob Woodall's trip report and in Petter Bjørstad's trip report. An approaching storm, with lightning, suggests we drive onwards, south to Potosi, rather than assemble camp at the height of its fury. We drive for over an hour to Challapata and stay in a hostel most affordably. After extremely cheap yet satisfactory roast chicken dinners we find an Internet place - and Petter can accomplish nothing there: it is the worst "connection" we have ever experienced! The next morning we drive southeast towards Potosi - at some 4,000 meters (13,100 feet), the world's highest city for its size (at least before El Alto, La Paz's huge 4,000+ meter shantytown grew to a million people). Today's drive is still largely along the altiplano, and we are delighted at the occasional 14,000 foot elevation - yet with flat terrain for miles. This is truly a unique experience, since at such height just about anywhere else the terrain is rough and inhospitable. Yet here we have grazing llamas on countryside that one could easily mistake for the high desert of Nevada. ventually we descend, only to climb back before reaching Potosi itself. 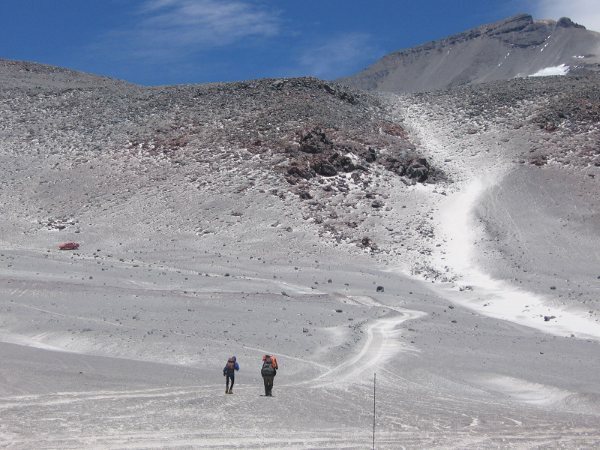 Once there we head directly to Cerro Potosi, also called Cerro Rico ("Rich Mountain"), which is famously infamous for having funded the Spanish conquest of the Americas through an embarrassment of silver ore. Millions of miners perished. These days tin is extracted. 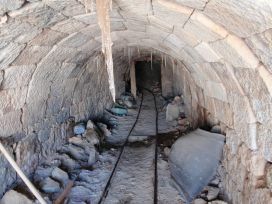 We park near the mine's tourist entrance and inquire about a guide who would know how to avoid the operations as we climbed the peak. I stupidly leave my red daypack behind as we drive a few hundred feet higher to start the hike. Fortunately a lady was safeguarding my pack - and I pay her 100 Bolivianos (about $15) for her effort. It contains my passport and money: without these my trip is ruined. The climb is over low-quality rock and talus that combines road-walking with steep ascents between them. Our "guide" is a 13 year old boy who seems very small for that age (was he lying about that figure)? Summit radio equipment is reached. Immediately behind, to the south, is the highest ground - a pinnacle roughly 15 feet tall that is easily climbed. On top we take GPS measurements. 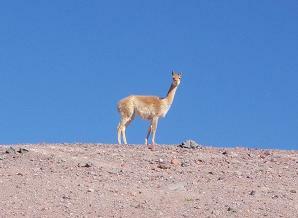 the typical llama or alpaca. The topographic chart elevation is 4,824 meters. We generally obtain 4791 meters (15,719 feet) at WGS84 datum (19.61869° S, 65.74982° W). 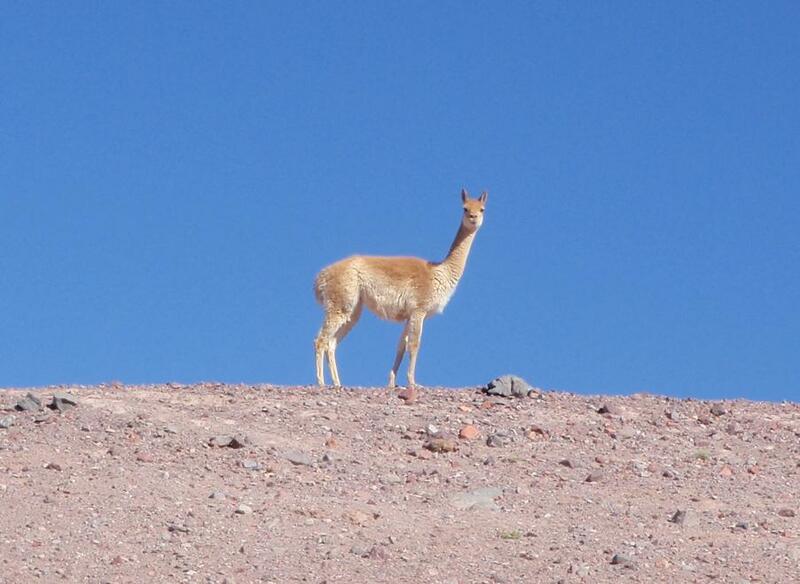 As with Cerro Wila Chanca the discrepancy is large - and in the opposite direction. Hence a simple shift in assumed vertical datum between the chart and our GPS units cannot be the explanation. We tend to believe our units more than the (dated) map. Hence we are not (quite) as high as Europe's 4,810 meter Mont Blanc. A short break is made perhaps 5 or 700 feet down where I have a bagel with Dutch cheese. Petter raises the boy - who is delighted that somebody cares about him. Later we give him what must be a huge amount in his world view - 100 Bolivianos which is about 15 USA dollars. 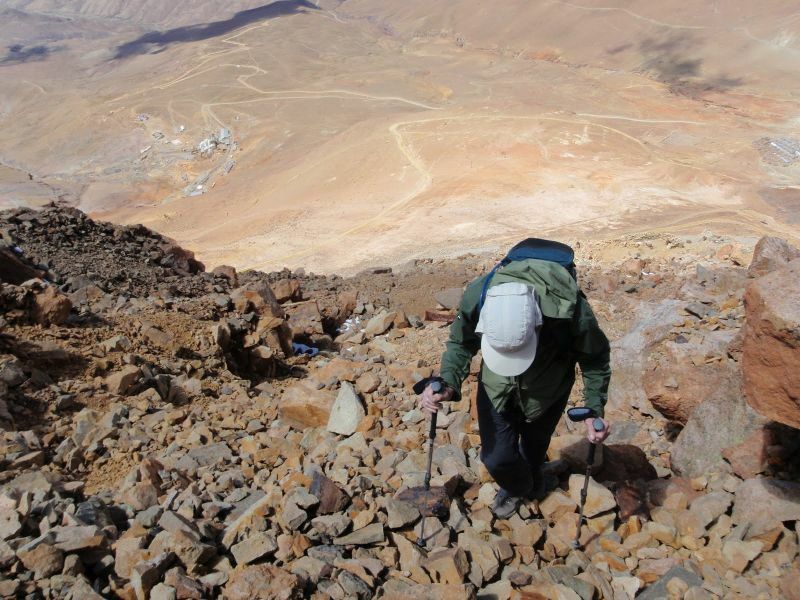 I am pleased to have climbed Cerro Rico - which appears on most Bolivian coins as the obvious, cone-shaped mountain within the national coat of arms. 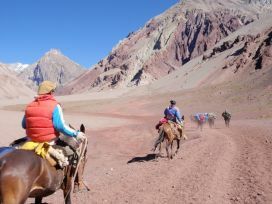 Less steep routes are possible than ours, but they are not approachable owing to a series of corporate fences and warning signs - including from the roughly 4,400 meter key saddle located right on the main highway to the peak's east. etter has been sponsoring an orphaned boy for several years; and wants to SEE him for the very first time on this - his only opportunity to ever do such. We drive to the orphanage this afternoon - but, alas, Daniel is on Christmas vacation with his aunt many miles away! Petter gives holiday money for both Daniel and the office charged with his well-being. Then something nice happens. After a most filling dinner (thanks to huge slices of apple pie for dessert) we return to our hostel ... and there is Daniel waiting for us in the lobby along with two guardians! Petter is visibly thrilled - and has a conversation with Danny, myself as translator. Daniel is pursuing computer science and hopes to earn a Bachelor's degree soon enough. This evening we meet the three other climbers as Greg, Duane and Adam W, who this very morning have climbed the same "Cerro Anacasi" that Rob and I did three days earlier. he next day, so-called "Day 5" of my itinerary, all six of us climb together for the first time. The peak is just over 5,000 meters that I locate at home using Edward Earl's Winprom program to automatically calculate the prominences of mountains. We take an interesting route that begins in a beautiful basin at around 15,000 feet amidst lakes colored by mine tailings. There's a short, ten foot downclimb (high Class 3) about two-thirds way towards the top. 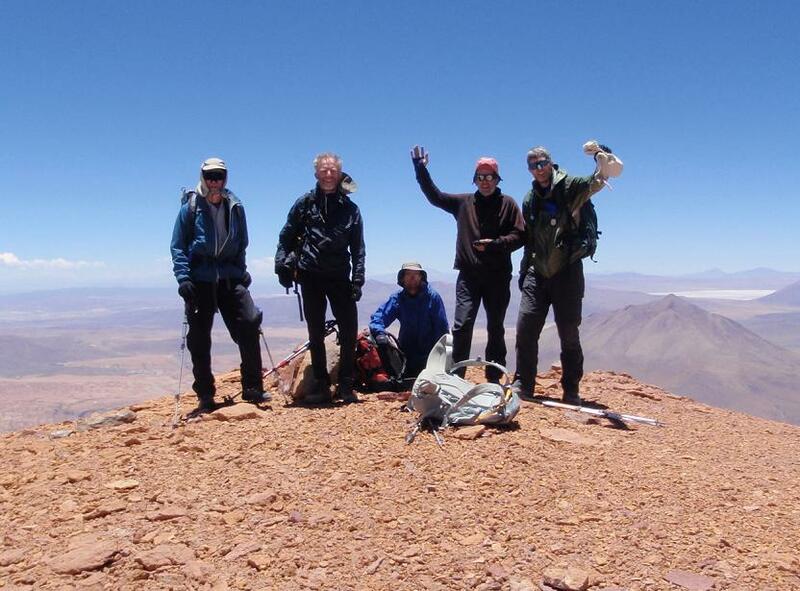 Thereby we ascend Cerro Cunurana at WGS84 datum (19.80204° S, 65.65292° W) - with a GPS-based summit elevation of 5,071 meters (16,637 feet) even though the topo chart claims 5,056 meters. As with our other peaks this large discrepancy demands an explanation. Assuming an (unverified) 3,957 m key saddle elevation, our peak has a prominence of 1,114 meters (3,655 feet). Furthermore, according to Winprom's SRTM3 dataset, it is the highest ground in the entire one square degree quadrangle bounded by 19° to 20° S; and 65° to 66° W. That's saying a lot in Bolivia! 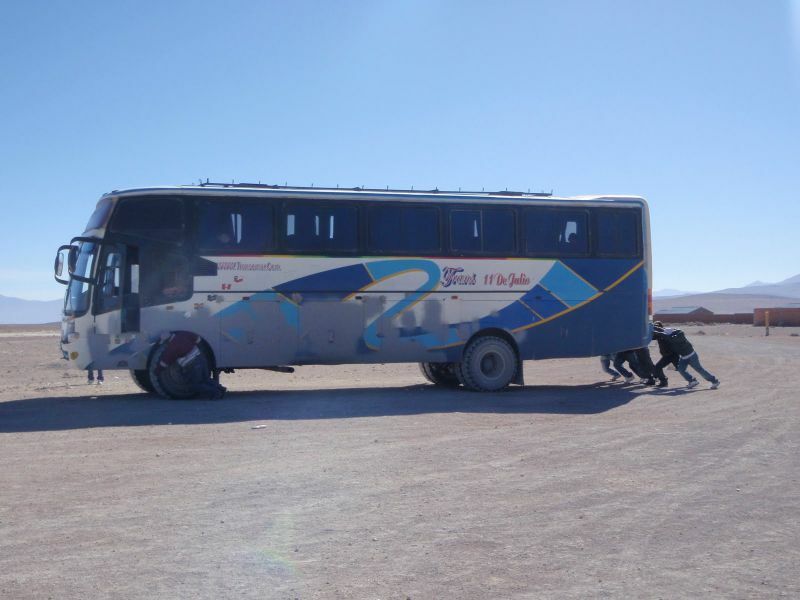 We continue south to Tupiza, Bolivia, taking some four hours to get there. On arrival an afternoon soccer match seems to have drawn half the city even though it's a Thursday. Here we completely top-off our gasoline, including 120 liter auxiliary tanks atop the vehicles in addition to the 80 liter main tanks. I calculate our water supply should be 48 two-liter bottles before heading out beyond Uyuni, into the remoteness of southwestern Bolivia. We buy the water here just in case Uyuni is "closed" for the New Year. Ice cream is enjoyed - except for Adam Walker who is lactose-intolerant. He has a large pastry instead. On the drive west from Tupiza towards our next goal we enjoy spectacular rock formations over the first hour or so. And I do mean, "spectacular". One looks like a human phallus - and I am sure that we are not the first to notice this. Finally we camp at a saddle along the highway, the elevation a nice 13,400 feet. It's the first night camping as opposed to hostel-crashing - and Greg's new Whisperlite Internationale stove is working fine. Unfortunately it starts misbehaving later, beginning with Cerros de Cañapa, and never "recovers" for the journey's balance. My hoarse voice is now replaced with a bad cough that, once started, cannot be easily stopped. I cough uncontrollably for several seconds, incapacitated, until the next round maybe a half hour later. It is a most unwelcome addition to my journey. erro Chorolque looms ever-larger as we approach the outrageously high corporate mining town at its western base - Santa Barbara at some 4,750 meters (15,600 feet). Icy mine high on Chorolque. Our two drivers start a conversation with the aim of achieving access to the peak. It's December 31, just before New Year's - and the main office is closed. Sensing little progress, I join the group and give an impassioned plea for our harmless cause of just setting foot on the tippy-top as our ONLY reason for being there. Greg in his "private hell"
4 days from sea level. Soon afterwards we are driving ever-higher on this mining road up the west face, parking at around 16,500 feet. I debate whether to go: I am coughing considerably; and the thin air is making me feel just a bit lightheaded. As the others summit in under two hours I suffer an increasingly severe headache while just trying to sleep in the car. It becomes horribly painful - a case of AMS (acute mountain sickness) and unrelated to my perpetual cough. Descent is the best choice, yet the drivers refuse to take me down the mountain. I take this red and white capsule from Germán, the "second" driver - and in only ten minutes my headache disappears. Must have been dexamethasone since nothing else is so fast and effective. Details of the ascent are available in Rob Woodall's trip report and in Petter Bjørstad's trip report. 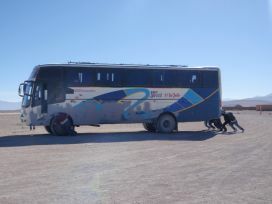 We drive to Uyuni for the night, staying at a decent hostel largely for tourists. Dinner is the first time all six of us have a "sit down meal" together. I order both the caldo (hearty chicken soup with whole chicken pieces) and a pizza. I also drink a brandy-based Pisco sour which is more typical of Peruvian cuisine. Tonight, around and after midnight, are street celebrations for the New Year. It is tempting to go outside and watch them - yet, as with Chorolque, all I want to do is just sleep. Some of us are more annoyed by this affair, including Greg. olivia's Salar de Uyuni is breathtaking as we explore its edge near Colchani some 20 miles north of Uyuni. 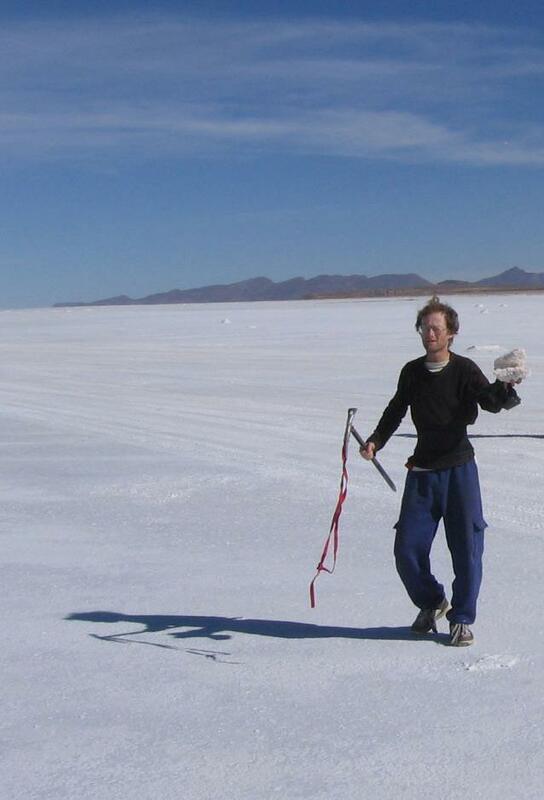 It's the world's largest salt pan, with an estimated 10 billion tons of salt and Earth's largest lithium deposit. Unfortunately Bolivia seeks Russian expertise for mining it - yet another jab in America's back by President Evo Morales. 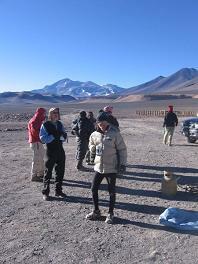 Several people take GPS readings to calibrate their units to our known 3,653 meter height. I chop pound-size chunks using my ice axe; and enjoy a slice of leftover pizza sprinkled with the salt. It's delicious - from the taste alone it clearly has more than just sodium chloride. 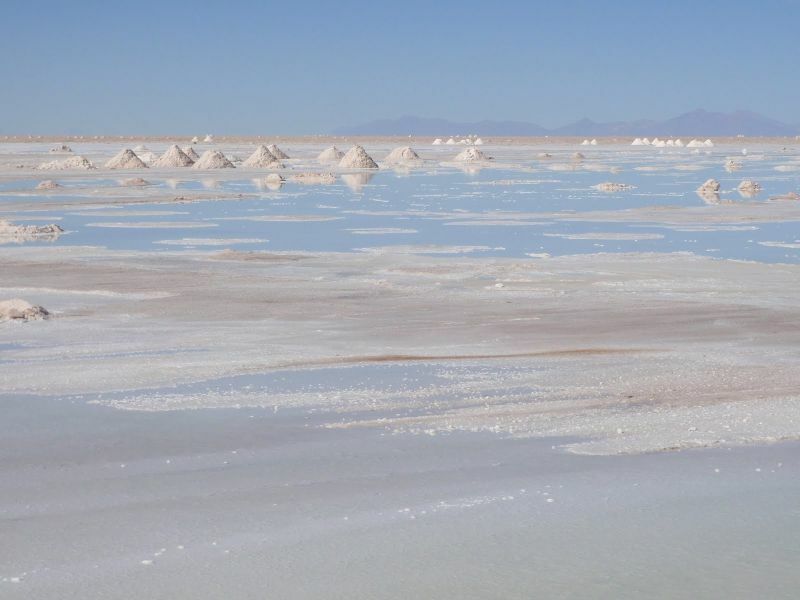 We return to Uyuni, have a drawn-out breakfast (the owner has no help as he flips pancakes one at a time), and then drive west to the Chilean border after just three or four hours. We coax the drivers to a level spot at about 15,300 feet quite near a climbing route for Cerros de Cañapa - an ultra prominence summit with about 5,900 meters (19,350 feet) elevation. We are quite remote and yet perfectly positioned for the next day. 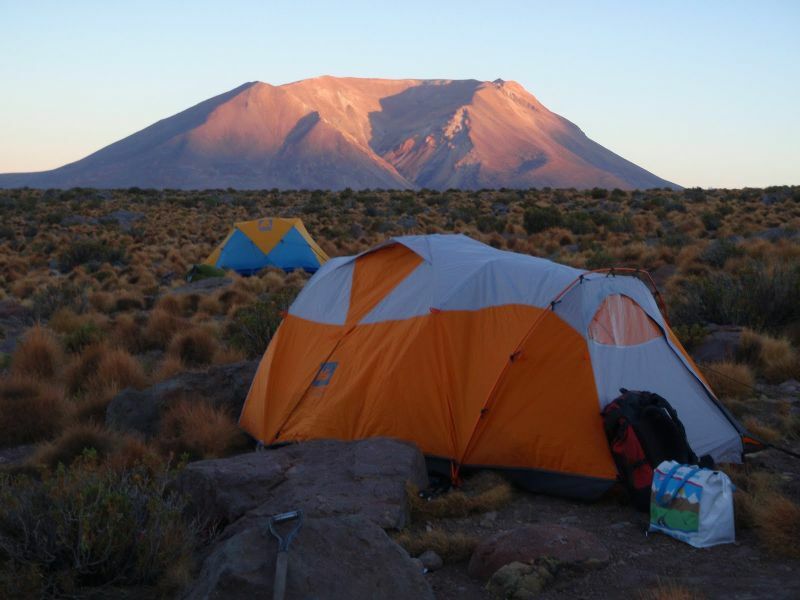 Furthermore our 4,650 meter campsite is sufficiently high to ensure our continuing acclimatization. 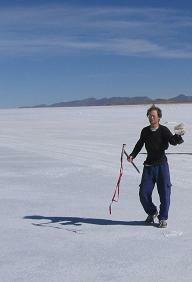 somewhere between Uyuni and Chile. e begin around dawn, heading west to the obvious northeastern ridge which we gain at around 16,000 feet, resting a bit before heading far more steeply up the ridgeline. At about 17,000 feet we take our second rest break. I am breathing so heavily that I cannot even drink water without gasping for air - until two or three minutes pass. I am also coughing uncontrollably. So I wait here, five hours, while the others continue. In contrast to his usually stellar true performance, at the summit Rob has a remarkably low oxygen saturation of 55% as determined by Petter's portable pulse oximeter. This is very low, even for climbing to high altitude, and demands an explanation. It is Greg Slayden who volunteers to meet me, the others having decided to descend a more direct route. SOMEBODY had to let me know what's going on - yet it was Greg who took action. We sleep without moving camp since, as noted, it's plenty high for acclimatizing. Tonight, January 2, is a conjunction of Jupiter and Uranus in which they are only 34 arcminutes apart. The night sky is extremely well presented here owing to the combination of altitude, dry air, and remoteness from any population centers. I just don't have the heart to go outside the tent and take a look - and largely because of the cold. 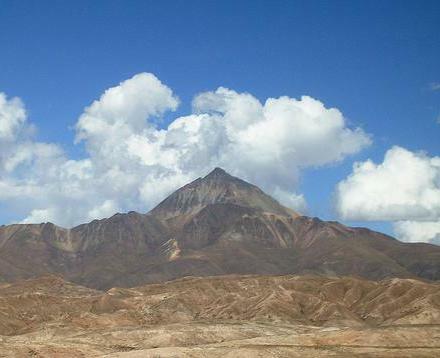 Here are some Cerros de Cañapa photographs. 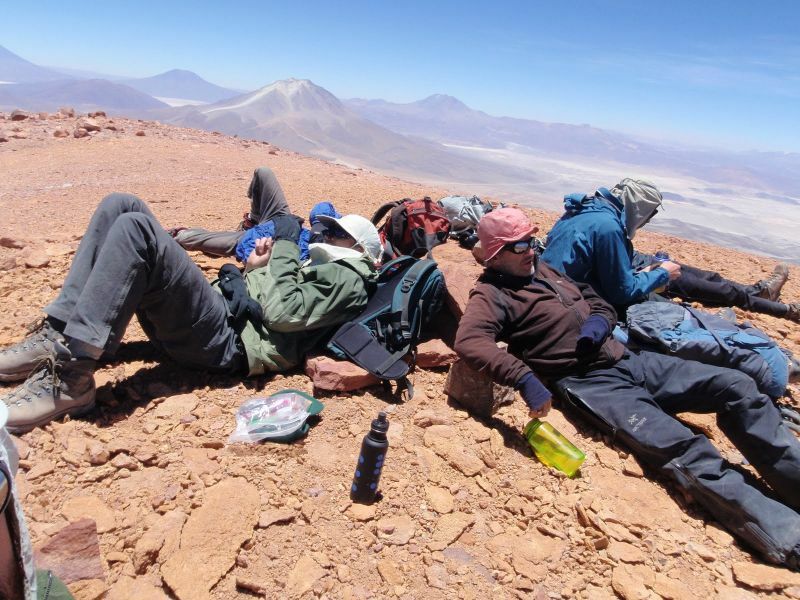 We now have a rest day, moving only perhaps 15 miles north to a new campsite near the north ridge of Cerro Tomasamil - yet another Bolivian ultra prominence summit with over 19,000 feet of elevation. To get here we had to convince both drivers to go cross-country, shaving-off distance from the "main" road so that a day-long climb of the peak would be rendered more feasible. 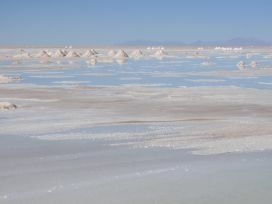 One highlight of this lazy afternoon is watching the train from Chile to Uyuni make its way, like a black caterpillar, northeast across a salt flat to our north and 2,000 feet below. 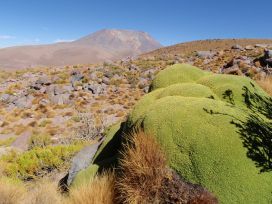 We have excellent views of Volcan Ollague to the west; and even of Aucanquilcha, a 6,000+ meter Chilean ultra, some 30 or 40 miles northwest of us. 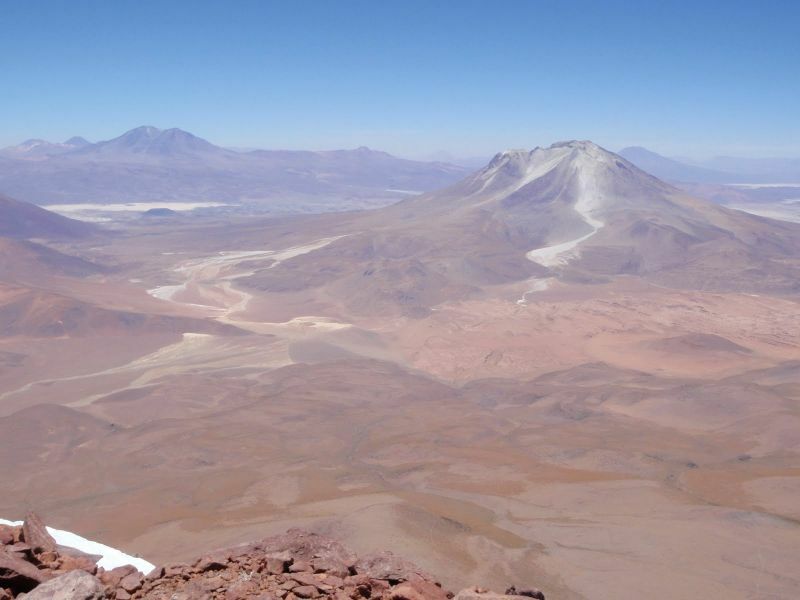 It has perhaps the world's highest mine - near or at the 20,262 foot summit itself. climb Cerro Tomasamil; and Petter plus the others accord me the honor of getting there first. I obtain a GPS-based summit elevation of 5,855 meters (19,210 feet) at WGS84 datum (21.29244° S, 67.96846° W). In contrast the 50,000:1 scale topographic chart has a 5,890 meter spot elevation. We spend over an hour on top to acclimatize further. It's my 88th ultra prominence summit - a lucky number in eastern cultures and also the atomic number of radium which is one of my "favorite" chemical elements! 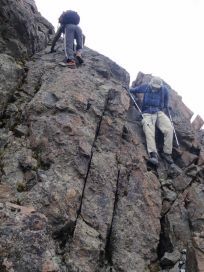 I return by the ascent route, on the north ridge, to retrieve what appears to be a marine fossil at over sixteen thousand feet! I had placed it atop a huge, rock-like green yareta plant - and so it is easy to locate with saved coordinates in the GPS unit at WGS84 datum (21.27455° S, 67.97455° W), elevation 16,225 feet. Others descend a more direct path - save for Greg who meets me where I had cached a liter of water at the point we had intersected the north ridge early that morning. I have no idea what the fossil is. More telling, I do not even know how to find out what the fossil is except by consulting with an expert paleontologist. However I do know that the Andean cordillera rose from tectonic forces wherein the Pacific plate subducted (dove under) the South American plate. In so doing land at tidewater is thrusted upward miles in the air - and my fossil is proof. We don't move camp. It's been a big day with some 4,950 feet of elevation gain. That much elevation gain is "no big deal" lower down. Here it is a larger and arduous effort. ntering Chile takes three hours owing to delays and bungled paperwork. However we do get to enjoy local food for breakfast as sold by Bolivian women in their traditional dress - including a llama and potato soup followed by a selection of meat-based dishes featuring many kinds of potato including chuño, a dehyrated form that can last many months. Adam W. comments that I'm the only person he knows that takes barbecue sauce with him on a trip. Bolivia is always 4 hours behind GMT (Greenwich Mean Time). 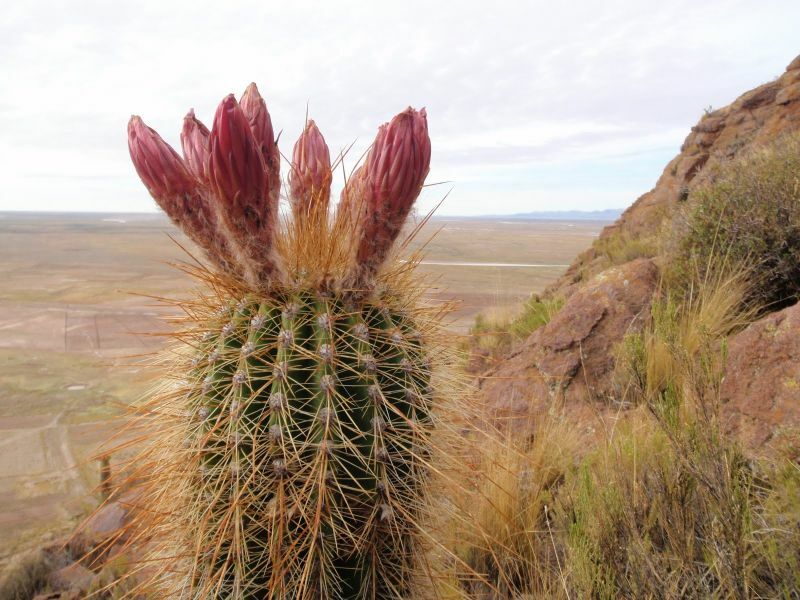 In the southern summer Chile is only 3 hours behind GMT as "Chile Summer Time". Hence on traveling west to Chile we had to shift our watches forward by one hour. That's unusual since normally traveling east forces such a local time change. We slowly descend and enter the Atacama Desert - driest on Earth and, I assure you, a most forbidding and desolate region. My vehicle, shared with Petter and Rob, has no air conditioning - and this becomes even more of a problem since the road, being of dirt, often creates dust which then enters the passenger compartment. Hence the windows are drawn shut, and the combination of closed windows and no conditioning makes it intolerably hot within. I must remove my shirt just to stay sane. at the Bolivia/Chile border crossing. Any vehicle for rent these days should have air conditioning as standard equipment. To save a mere ten miles driving into town, we forego nice rooms in Antofagasta, Chile for the night, banking on Germán's advise that one hour later is a cheap place to sleep. 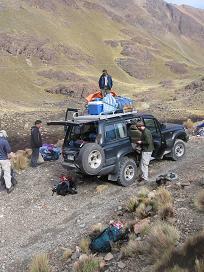 It never comes - and we drive into the darkness, finally taking rooms for three in Taltal, Chile at sea level. Germán prefers driving faster than Luis. Luis drives at 80 or 90 kph on a perfectly good paved Chilean highway while even large trucks pass us doing the 100 kph speed limit. Luis is very cautious because this is not their country - and loaths the concept of a traffic violation here. Germán has problems with our low elevation - and likely from the humidity which he's not used to in Bolivia. I find it highly amusing! Then too the vehicles are not operating smoothly since their carburetors are adjusted for travel at 12,000 feet. By now my lips are seriously burned from the altitude. My latent herpes virus has broken-out even though I have not been exposed to snow. Apparently just being at high altitude is sufficient. Although I did it anyway, applying lip balm is too late to do much good. On my recommendation Greg visits the beach, getting hands wet with ocean water before ascending to the Americas' highest highpoint. I also did this, in San Diego, before climbing Aconcagua in 2006 with Edward Earl and John Sype. We have a late supper at one Chinese place, and I cannot eat the food without first cutting it in tiny pieces so it does not touch my poor lower lip. I leave two-thirds of the dish untouched, this pork in a black bean garlic sauce, there being insufficient time to eat at this pace. It's the first time I've left food on my plate in memory. 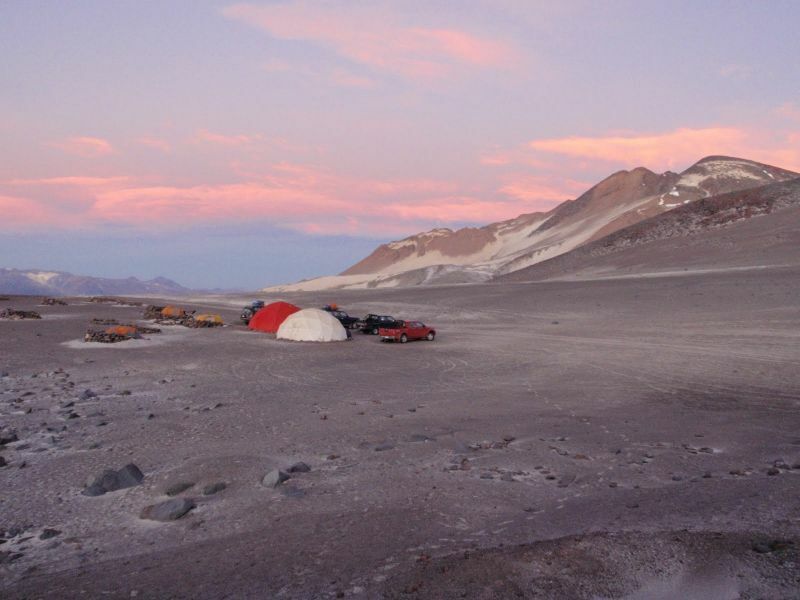 This is to be our ONLY night at low elevation so that we many retain as much acclimatization as possible for Ojos del Salado - our very next peak. 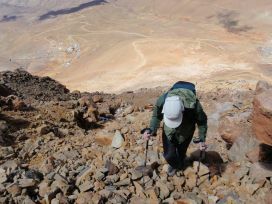 In Copiapo, Chile the next morning I calculate that we need 54 two-liter water bottles given the number of days, six climbers, and up to two Ojos summit attempts each. Much of the drive is spent eating and hydrating - some "last supper" before we all are limited by pack weight and elevation to spartan diets. errain around Ojos del Salado is most bleak and dry for its elevation - even more so than Aconcagua. One concept that keeps us moving is the majority's hope (NOT shared by myself) that we should reach a control point by 7 p.m. to allow for a summit attempt a mere 36 hours later. 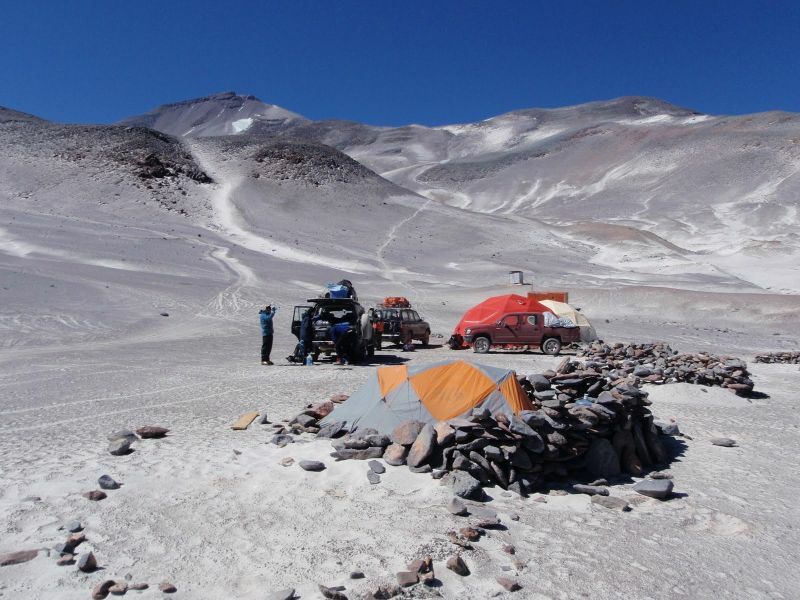 The control point has Chilean carabineros who sanction entry to Ojos del Salado. 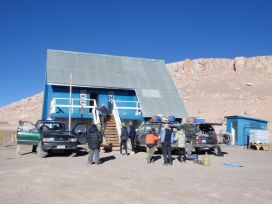 I feel it's a mistake to attempt the summit without a single night at the 5,200 meter (17,050 foot) base camp "Atacama". However I say nothing because everybody else is terribly eager to summit at the very first opportunity. 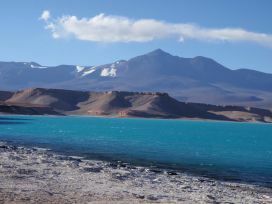 We are met at picturesque Laguna Verde by a biting wind that I cannot tolerate when it hits my lips. I must wear a face mask. Camp "Lucia" at 14,800 feet. In contrast to what we had been lead to think, we are simply able to slip our climbing permit under the door and then proceed. 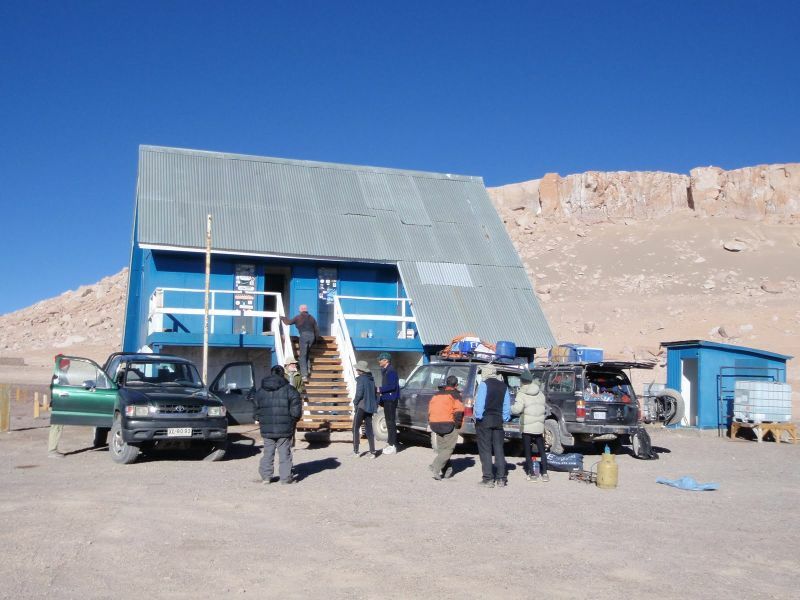 Owing to the late hour we drive just to an alpine-style hut at 14,800 feet, the "Lucia" hut, only a few miles off the main road, rather than go all the way to Ojos' base camp 22 kilometers farther. The hut reeks of gasoline from folks who cooked inside it. We cannot tolerate the odor - it is dangerous - and everybody either sleeps on the front porch under the stars; or, in my case, on the bottom floor with a mattress. Everybody decides to reorganize all of their gear NOW, well after dark, even though there is plenty of time in the morning. I cannot understand it. It's irrational, some kind of "group-think" mentality based on one person considering it a sound plan and then everybody following suit like lemmings. I am coughing terribly hard. The next morning there's plenty of time (as predicted). Unfortunately I am coughing so hard that my rib cage hurts. Every breath is accompanied by a sharp pain over the right lung. It looks and sounds terrible. Greg comments that it reminds him of Mount Everest climbers who actually break ribs from coughing so hard. Summit is at upper left. accounting for the rock windbreaks. Regardless, I decide to remain behind since going higher will make the coughing even worse - not to mention my lips which will be subject to even more ultraviolet damage. It's a key decision that costs me the summit since I now have no means of acclimatizing to the base camp elevation of 17,000 feet. With Greg's stove inoperable I loan mine to him and the group in general. This means eating cold food for up to four days - and with no actual "dinner food" which requires boiling water. Just snacks. Rob Woodall's overall trip report and in Petter Bjørstad's trip report. The group leaves by 10 a.m. An intense sense of loss overwhelms me. I walk behind the hut about 100 yards to an abandoned mining operation - yet am forced to retreat indoors once the incessant wind hits my painful lower lip. I sleep most of the day in my bag. I have no desire to read, eat, or even sit outdoors on the warm veranda. I now know what depression feels like. I welcome sunset as my excuse to sleep for 10 or even 12 straight hours. "No problema". a 19,100 foot high shipping container. Greg (rear), Petter and Rob. ...and then I just fall asleep again until suppertime. It's the only thing I look forward to, and provided that I eat very very slowly so that even the bagel's sharp crust does not touch my lower lip. Each bite is cut in advance. Each sip is taken with a spoon since my water bottles have rims that touch my lower lip. 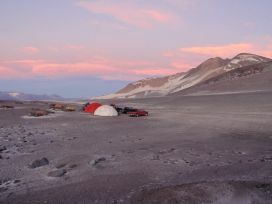 This evening some Chileans come and sleep for the night. They have just arrived from sea level! I accept their boiling water to make cheese soup. Good. Later they offer me leftover rice, as part of their dinner, but I am too distraught (and already in the bag) to accept it. Neve penitentes with Adam Walker. The next morning most of them awaken to huge headaches. I recommend they drink as much as reasonable, and perhaps descend to Laguna Santa Rosa if that's convenient to their schedule. They provide hot water, and I use it to prepare oatmeal and then a hot drink. I then realize this is my last chance to make good at Ojos del Salado since it is the "intermediate day" between two possible summit days. I pack my belongings and then ask if they'd be willing to drive me to base camp. They express concern that I should not be going higher with my illness, deny me my request because it would take three hours, and yet offer more hot water. Another driver comes by and says he can contact somebody at Laguna Verde who might for $100 take me to base camp. I tell him that's an outrageous price and refuse to accept such an offer on moral grounds. Around 11 a.m. a third truck comes by - and for $40 he will take me and my gear to base camp. So happens he is the base camp operator. So it is that around noon I meet all but Duane who, having failed his first attempt, is right now heading back to high camp for a second bid. uis is paid $50 to carry my overnight pack to high camp - and he accepts, claiming a desire to probar mis limites ("test my limits"). Here, I am trying to give myself every possible advantage. We depart around 2 p.m, and I arrive at the unlikely red-orange metal shipping container in 2.4 hours. There are four of us here - including Duane, myself, and a Spanish couple that share the eating table with us for the evening meal. It is very hard to sleep at 19,100 feet. By 10:30 p.m. I haven't slept a wink - and express my intention of heading down, alone and in the dark, because it's impossible to summit without any rest. I am outvoted, and somehow manage to sleep before the 4 a.m. alarm. I dress in everything I've got and eat a very soupy oatmeal dish for maximal hydration. The lady returns after just 5 or 10 minutes complaining it's her period. Duane and I follow the man, departing around 5:15 a.m. Soon I cannot keep up with Duane, and this no matter how slowly I request that he walk. I just cannot get enough air to exercise. 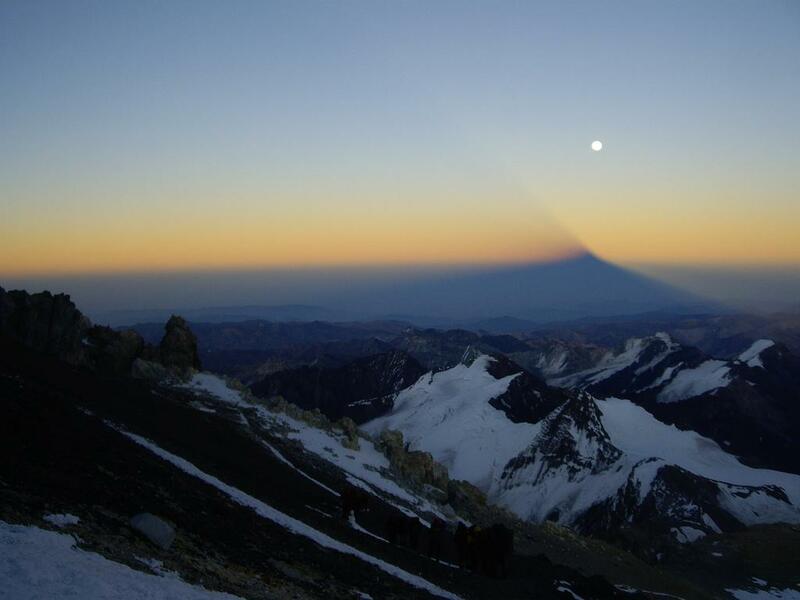 I realize it's impossible to reach the summit after gaining only 400-500 feet; stop; and return most slowly to enjoy the beautiful hues of dawn at nearly 6,000 meters. I have the view but not the grand prize. I sleep until 9 or 10 a.m. and then descend carrying both packs in a crazy arrangement with the daypack lashed sideways to the back of my overnight pack. The wind is stinging my face with particles of sand and even fine glass. Duane must be going through hell up there. I return to base camp and, after freeing myself of those ungainly plastic boots, wait with Luis for Duane to return - the entire afternoon. 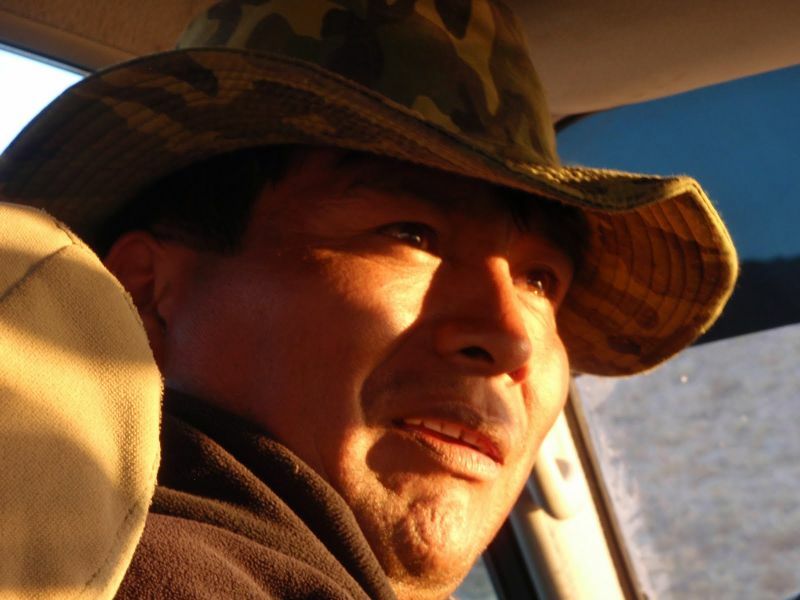 Duane appears around 7 p.m., having successfully summited. 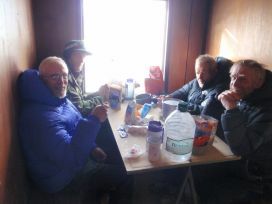 We three now return to the alpine hut where the others are already eating supper. Duane is congratulated. I feel like some outlaw, banished from polite society simply for having nothing good to report. Yet I am still part of this expedition and have an important role to play. I've saved a cinnamon babka for our enjoyment - a hugely tasty, extreeeemely sweet cake and reward for the summit - served with hot spice tea which Rob cannot get enough of. The cake is devoured, Adam Walker finding it particularly delicious. Even our drivers get some. I am trying to provide a nice demeanor. Inside, though, I am quite distraught and would rather be off somewhere else by myself. base camp for Camp Tejos. 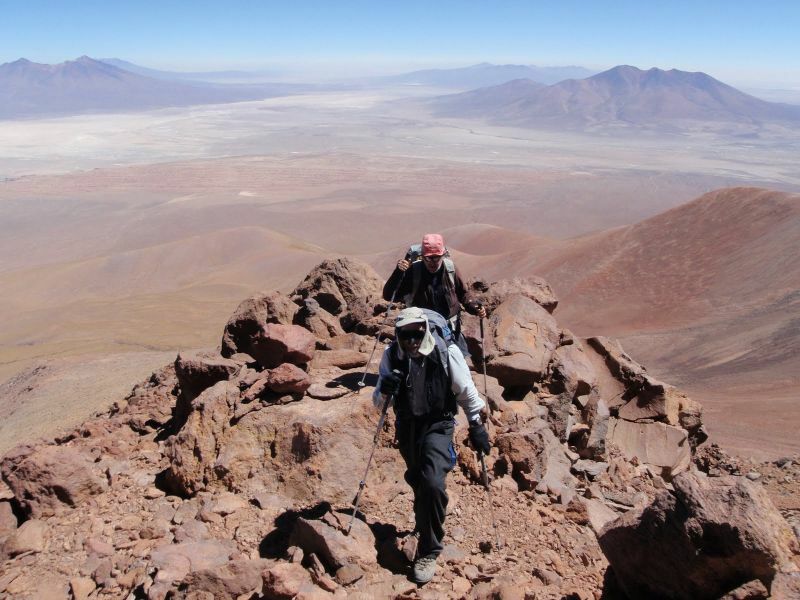 I recommend that future Ojos del Salado climbers consider using normal leather mountaineering boots since the cold is marginal and the plastic boots are very ungainly and awkward when climbing on volcanic scree rather than snow. Indeed, snow or ice was rarely encountered by the summit group - and any present was trivial to cross. One may purchase electrically heated socks - and the weight of their "D"-size batteries is minor compared with the weight difference between double plastic boots and standard footwear. 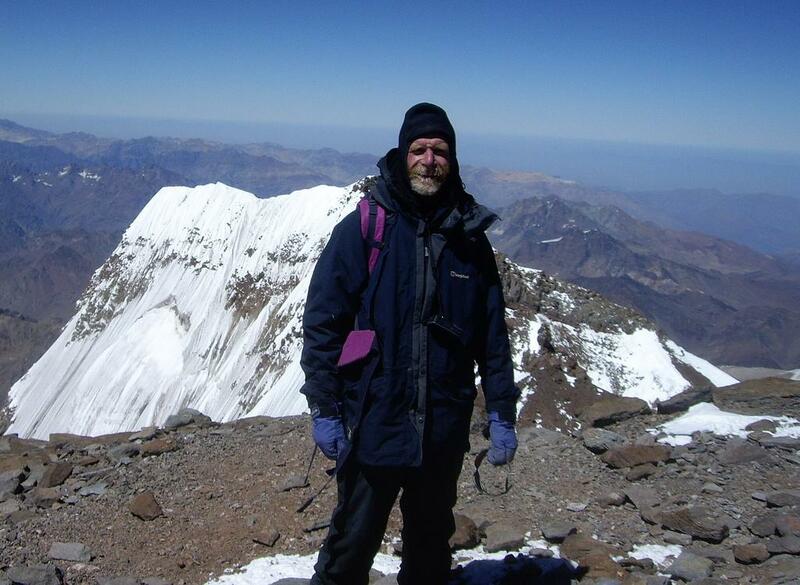 In contrast, Greg Slayden, who actually climbed Ojos, writes the following of plastic boots. "I would recommend that people take them. 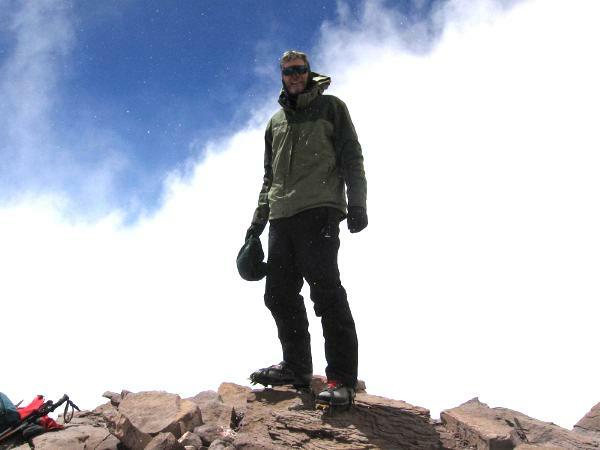 I hate plastic boots in general, but on both summit days (Ojos and Aconcagua) it was so cold and windy that frostbite was a real concern. 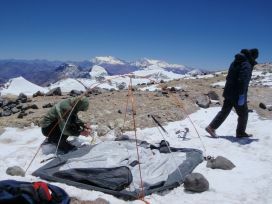 I used chemical toe warmers on Aconcagua and they had no effect, and on Ojos my feet were also very cold in the morning despite wearing my Denali summit boots and vapor-barrier socks. 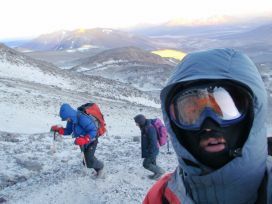 The high altitude and the wind really magnify cold effects, and while leather boots and battery socks might work, my guess is that most of the time it is just too cold and plastic boots are needed." Tonight I awake multiple times to blow my nose, cough incessantly, and drink from my eating bowl like a cat because, again, the water bottles have a rim that hurts my lip. 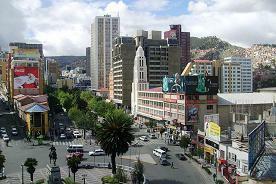 The next day we have a group lunch in downtown Copiapo before everybody but myself takes an evening flight to Santiago. ow boring as the drivers and I continue north along Chile Route 5, the main highway. They make the same mistake as before by banking on places to sleep that just don't exist. The rear window shatters for some reason - either from a pressure or temperature change as we descend 17,000 feet. It is taped-up but still looks like a target for theft. Eventually I take a room in the same Taltal, Chile motel as previously. With the automobile's window busted, I must bring all my gear with me into the room. Before showering I look in the full-size mirror and find that my rib cage is pushed upward away from my stomach, maybe 2 inches. I don't know what's going on - but it looks disgusting, and likely is related to my illness. Today I teach Luis English lessons as we drive north through the Atacama Desert. It is a very boring day, one that ends at a terribly small, way-overpriced room in Pozo Almonte, Chile. 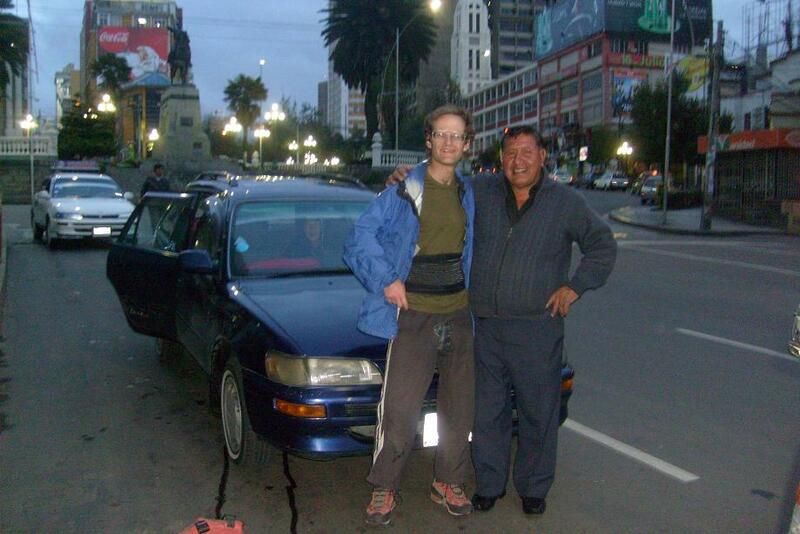 Luis and I leave early to beat the long-haul trucks also heading uphill to the Bolivian frontier. 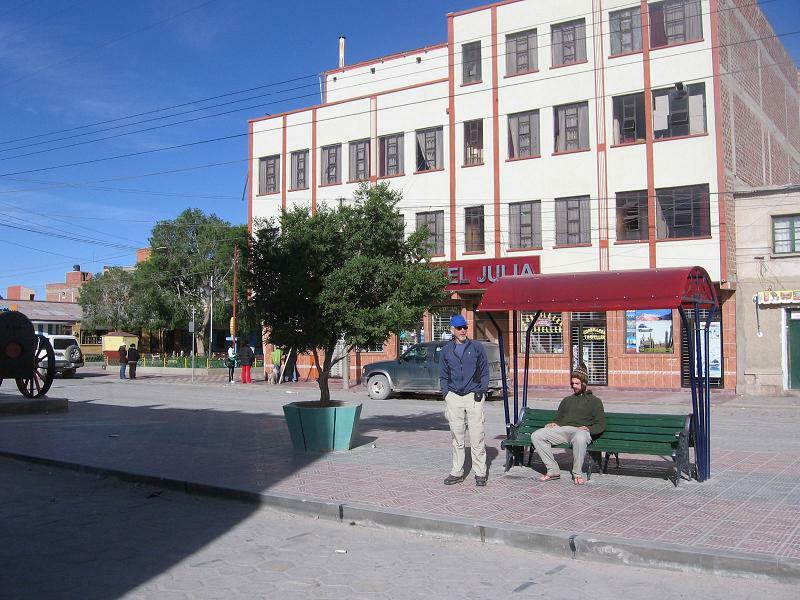 We cross around 10 a.m., eat lunch at a village, and stay for the night in Oruro. 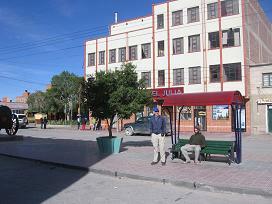 The next morning we drive the 3 1/2 hours to La Paz where I check-in early at the Eldorado hotel. Note: The Eldorado is a good place to stay. My only complaint (expressed to the staff) is that with the free continental breakfast all fruit juice is diluted with water, making it insipid and unappealing. I recommended that if they insist on this cost-cutting measure then at least add back sugar so that the resulting crap at least is sweet like the unadulterated product. La Paz - My South American "Home"
purchase four alpaca wool sweaters for my mother - a bargain at just $50 total price. This takes four trips to/from the hotel because the store does not accept credit cards and so I must retrieve actual Bolivianos to make payment. Then by mid-afternoon I eat at the same place Rob and I attended three weeks earlier. However this time I do not forego the ice cream to avoid getting sick. It's clearly their specialty, and tastier than the fried chicken meal I ordered beforehand. The totality is a huge affair, one that I struggle to finish. I try to visit the municipal library. However it's Saturday, and an armed guard says they'll remain closed until Monday. 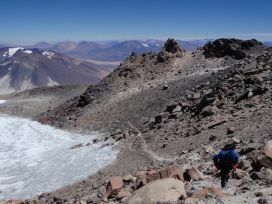 That's too bad - I want to get some climbing route information, if at all possible, for Cerro Tunupa - an ultra peak that was for the longest time in our itinerary until we learned several potentially negative aspects. I check-out just before the noon limit, leaving baggage with the front desk and arranging a taxi ride to the airport for 2 p.m. Soon after I change plans: Walter, the driver Bob Packard and I hired in 2001 for an entire week awaits my business and provides a reduced rate for the same service. o it is that I'm at El Alto International Airport around 1:30 p.m. for a 5:10 flight. A storm passes by as we sit prepared to lift-off the runway. Beautiful Nevado Illimani is highly visible outside my right-side window, taunting, reminding me, in effect, that I am fully acclimatized to this 13,000 foot elevation yet have very little to show for it. With that singular concept I leave Bolivia with a keen sense of helplessness, unable to make good after three weeks of acclimatizing. 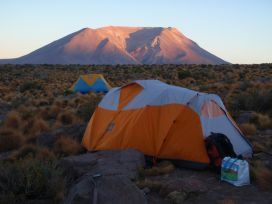 I am eager to climb nearby Nevado Sajama over just two days (21,436 feet). 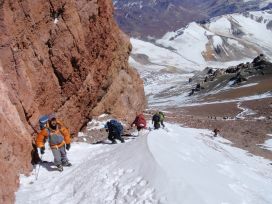 Yet rules (they even exist in Bolivia) prohibit climbers until April owing to soft, unprotectible snow and avalanche threat. a "bonus peak" after Ojos del Salado. On landing in Lima, Peru I note to nearby passengers, "El aire es tan grueso que puede comer con tenedor." ("The air's so thick one eats it with a fork."). However nobody even smiles - likely, they too have multi-hour waits until the next flight - and it's nothing to be enthusiastic about. I really do feel the thickness when waving a hand past my face. Do not land in Mexico while enroute to the actual destination. Back at my automobile in the San Fernando Valley I sleep for two hours in the camper so that I can drive home safely - and even then with both hot chocolate / coffee and creme-filled chocolate cupcake. am quite disturbed by the journey's outcome even though everybody else would have called this a successful expedition. That's irrelevant to ME. There is nobody I know of to join me on a future, privately arranged re-attempt (with one remote exception); and I do NOT like the itinerary of Berg Adventures which offers an alternative unaffordable to ME. 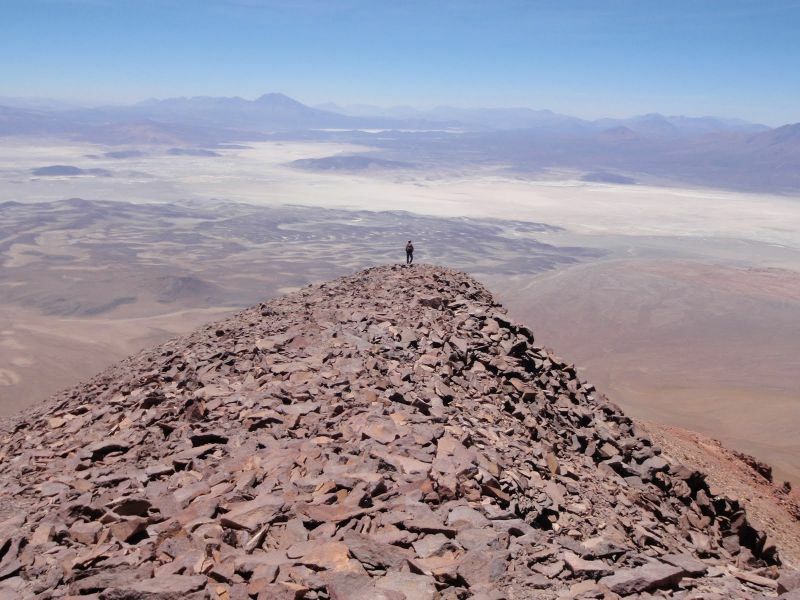 I have forfeited my one chance in a lifetime to climb Ojos del Salado - thanks to a random meeting inside some airplane cabin. I will not "get over" this period of anger and frustration and accept what happened because it appears to be irreversible - much like dying. Sorry, folks - no amount of psychological babble about "acceptance" will alter the facts. ob Woodall, Greg Slayden and Adam Walker reached the summit of Aconcagua on January 20. 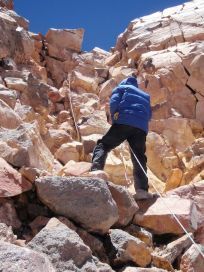 Details of their ascent are available in Rob's trip report. Here are some selected photographs. 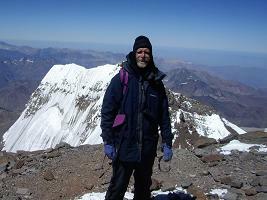 Nido de Condores on Aconcagua. Some photographs from their summit day follow. Some Aconcagua photographs follow from Greg Slayden. Greg is back at the trailhead. Note the estimated travel times. 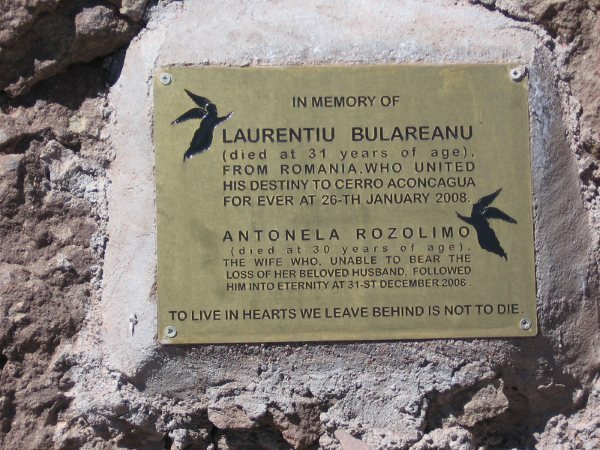 (GS) Gravestone at the Aconcagua cemetery. 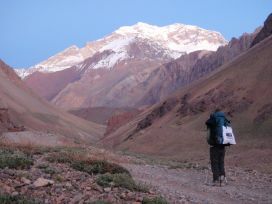 Some Aconcagua photographs follow from Rob Woodall. 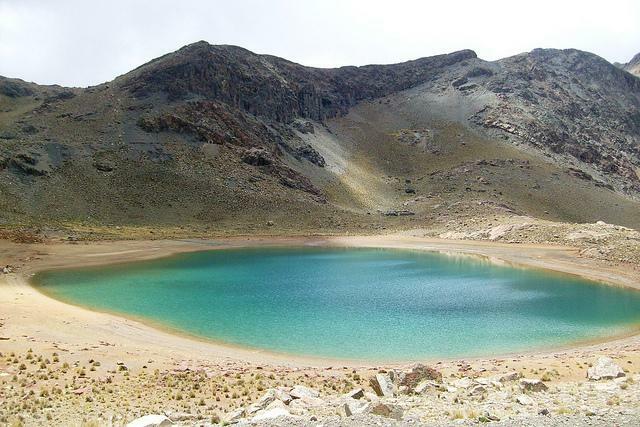 I travel to Guatemala next month as partial "revenge" for having missed-out on three ultra summits - including Ojos del Salado itself. There, I should hopefully climb Volcan Tajumulco on the Earth Fifty Finest list (world rank #24 and highest peak in Central America) ... plus three additional ultra prominences. I could go later; but this is my last opportunity to summit an Earth Fifty Finest peak with Petter Bjørstad who I strongly suspect will become world leader for that list. Simply put, I want to be part of that effort. 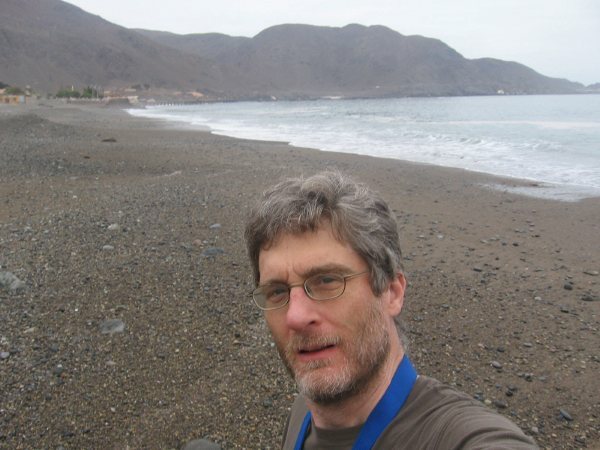 Duane Gilliland lost his digital camera at Ojos del Salado - with prized photographs from much of the expedition. 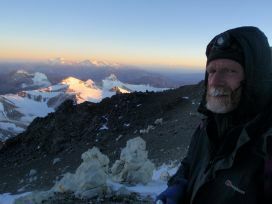 While in Guatemala I receive an E-mail from Jonathan Kreiss-Tomkins who climbed Ojos the next week. He found Duane's camera at the saddle between the two summits; and contacted the Chilean authorities to learn of my name. Jonathan's original note to me follows, including the earlier Chilean reply, in Spanish, which provided the key clues for return of Duane's camera. Finally I include Duane's note verifying his receipt of the unit. I too view find this a remarkable story, documenting it here for that fact alone. 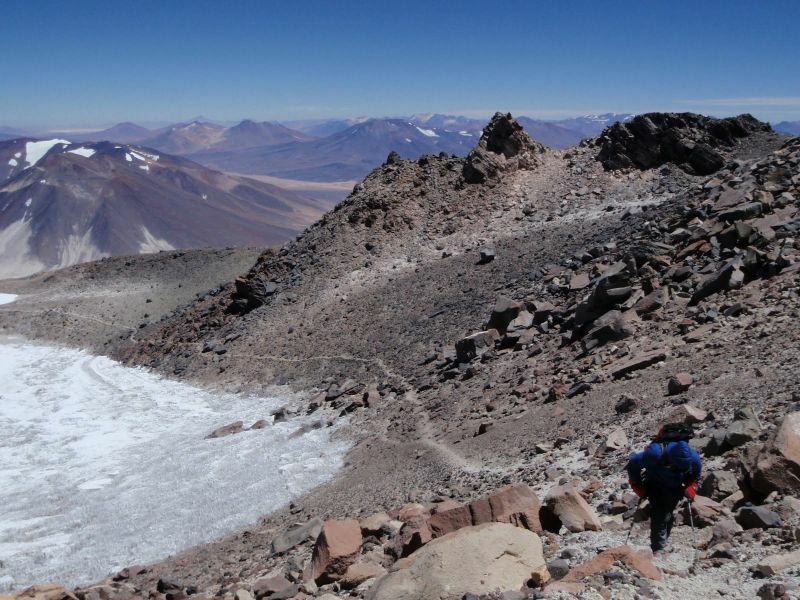 So, as you might be able to infer from the below, my climbing partner and I summited Ojos del Salado on 12 January from the Argentine side. At the col between the two summits (my climbing partner, CC'd, went up both -- long story!) we found a digital camera. Through a little sleuthing, and with the very competent help of DIFROL, it sounds as though it might belong to someone in your climbing party. Any chance one of you folks lost a camera on the trip? If so, let me know and I'll get it off in the mail stat. En respuesta a su correo electr�nico de fecha 4 de febrero de 2011, en el que remite antecedentes y fotograf�as de los posibles due�os de la c�mara fotogr�fica que encontrara su expedici�n en la cima del volc�n Nevados Ojos del Salado, se informa que seg�n las averiguaciones realizadas, dicha c�mara podr�a pertenecer a alguno de los integrantes del grupo compuesto por el ciudadano estadounidense Adam Jared Helman y otros, que ascendiera en el mes de enero pasado. Se hace presente que entre los antecedentes que se le env�an adjuntos para facilitar su eventual contacto, consta el domicilio de cada uno de los integrantes de dicho grupo. Direcci�n Nacional de Fronteras y L�mites del Estado. Duane Gilliland's recovery note follows from February 28. Thank you very very much, and hooray. The camera arrived in today�s mail. This camera has used several of its lives; I have dropped it a couple of times, and it probably lost a life or two in the two days it spent at nearly 23,000 feet elevation. Then, the bag you shipped it in arrived with a 3� tear along the bottom edge. The camera slid out without even opening the package. Good work by the postal service. The battery is dead, so I�ll put in a spare battery and try it at home tonight. Most importantly, the card should be fine for transferring pictures to my computer. I will upload the pictures to Picasa and send you a link. You mentioned on the enclosed note that you are a fellow resident of the Pacific NW ... where did you live before moving to Connecticut? If you are ever back here again, I would be delighted to meet you and climb something here in the NW. I consider your finding my camera, locating our party, and returning it to me; to be nothing short of a miracle. I lost the camera on January 10 and had given up on ever seeing it again. I am tremendously grateful to you for your part in making that miracle happen. I have copied my climbing partners with this message, as they were also very fascinated by your recovery of my long lost camera. 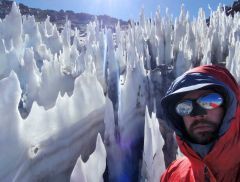 Here is a link to a very through and interesting trip report from our climb of Ojos and the acclimatization leading up to Ojos. 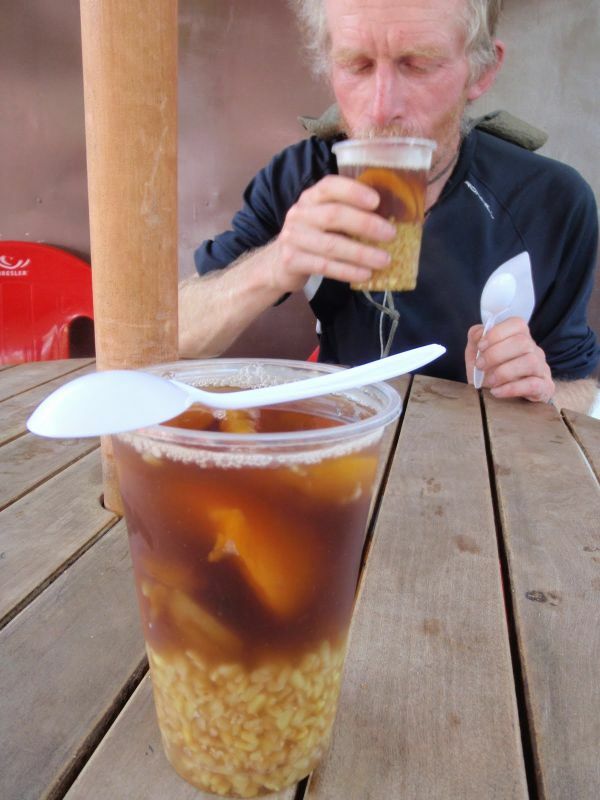 Just reward - Rob enjoys Santiago "tea" after climbing Aconcagua. It's actually apricot juice with whole pieces and a layer of soaked wheat.